The former Egyptian president was charged with murder and attempted murder in connection with the killing of 225 anti-government demonstrators and wounding of more than 1,800 in January last year. His co-defendant security chiefs were acquitted. 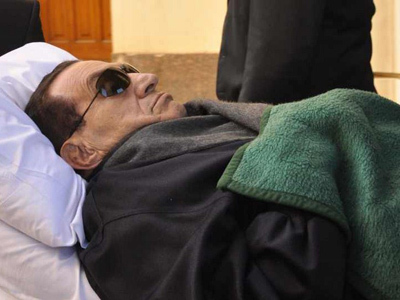 A Cairo court ruled that Egypt's ousted President Hosni Mubarak is guilty of complicity in the mass murder of protesters who demonstrated against his power in February last year. The defense lawyer said he will appeal life sentence. Mubarak’s former Interior Minister Habib al-Adly, who was among his co-defenders, was also sentenced to life imprisonment. The ex-president was cleared of corruption charges and the judge also dropped corruption charges against Mubarak's sons, Gamal and Alaa. 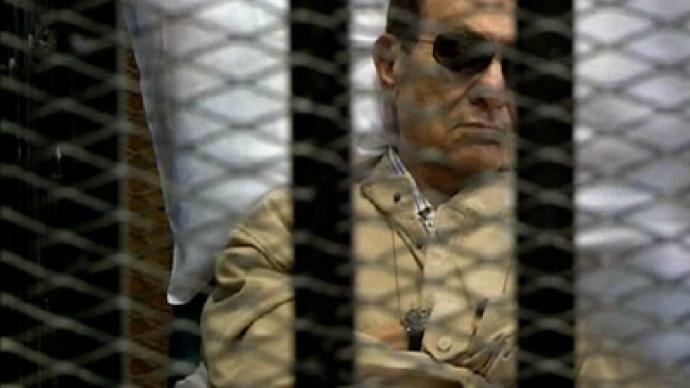 Egypt's general prosecutor has ordered immediate transfer of Mubarak to Tara security prison in Cairo. 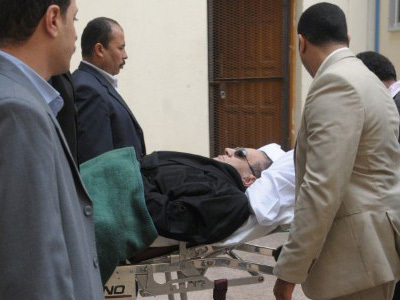 After Mubarak left the trial he suffered a “health crisis” while on the helicopter flight to the detention facility. He has reportedly had a heart attack, but this information has not been immediately confirmed. Clashes erupted in the courtroom and outside the court between pro and anti-Mubarak crowds as some people were outraged with the sentence, saying he deserved death sentence. Nearly 900 protesters were killed during the 18-day popular uprising that pushed Mubarak from power in February 2011, ending his 30-year rule. On the final day of six months of hearings, the 84-year-old ex-president refused to address the court. Hosni Mubarak was accused of the murders along with former Interior Mnister and six security chiefs and the corruption charges with his two sons, wealthy businessmen Alaa and Gamal – his one-time heir apparent. His former Interior Minister Habib al-Adly, who was among his co-defenders, blamed "foreigners" for the deaths. Both he and the former president have rejected the charges. 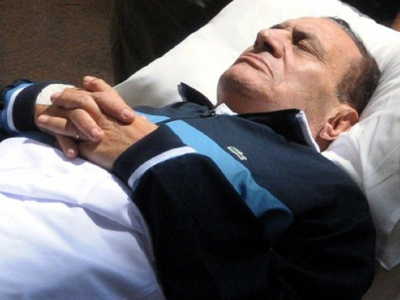 Mubarak also faced corruption charges for accepting a bribe in exchange for Sharm al-Sheikh land grants and for conspiring to sell natural gas to Israel at below international market prices. 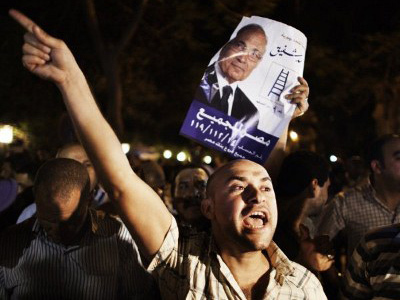 The trial began last August, six months after Mubarak’s ouster in a nationwide uprising. It has often been labeled as political theater, as activists say Mubarak should have been tried for abuses and mismanagement they believe he had committed during his 30 years in power, rather than for events that took place during a few days of the uprising. 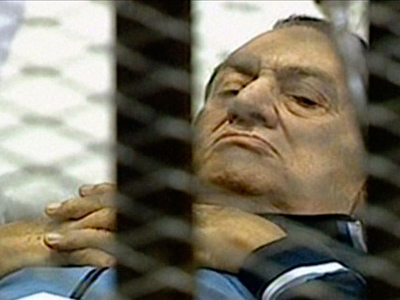 It was expected the sentence could have put Mubarak, who spent nearly 30 years as one of the Arab world's key strongmen, on death row. That is what demonstrators, mostly relatives of those killed in the revolution demanded, were shouting outside the court. A large convoy of military armored personnel carriers arrived at the court compound in the early morning with lines of riot police also taking up positions at the entrance to the venue. The trial is of enormous importance for Egypt’s political future as the country now prepares to choose between Mubarak’s former opponent and his ally in the presidential runoff later this month. Police in riot gear outside the court and across the capital were no surprise as many expected that no matter what the verdict, it would outrage either Mubarak’s supporters or his opponents and trigger unrest. There was an immediate celebration when people heard the word "guilty". But a life term was definitely not enough for the relatives of protesters killed during the revolt and they obviously wanted the death penalty for the former president. People also wanted to know why Mubarak's sons were not found guilty of the corruption charges they had faced. This made many Egyptians ask what the future holds for them and suspect the sons could step up and fill their father's shoes. The fact that six low-ranking Interior Ministry officials were acquitted also irritated those who dislike how security forces have acted. Judgment day comes as thousands of Egyptians rallied on Friday across the country against ongoing military rule and Mubarak's last prime minister, Ahmed Shafiq, who is currently running for the presidency. They protested against him and demand that he be barred from the race for the country's top job. Many fear that if Shafiq wins the presidency, he will use the post to pardon and free Mubarak. The ex-premier will contest the second round runoff against the Muslim Brotherhood's Mohamed Morsi, who had promised that if he becomes president he would make sure that Mubarak stays in prison till the end of his days. Neither candidate is perceived as a champion of the revolution by many who took part in it, with some observers predicting further revolt.